Here we have the very rare Hostess No.34. This one has been made entirely by ourselves here in Bristol from our own patterns. 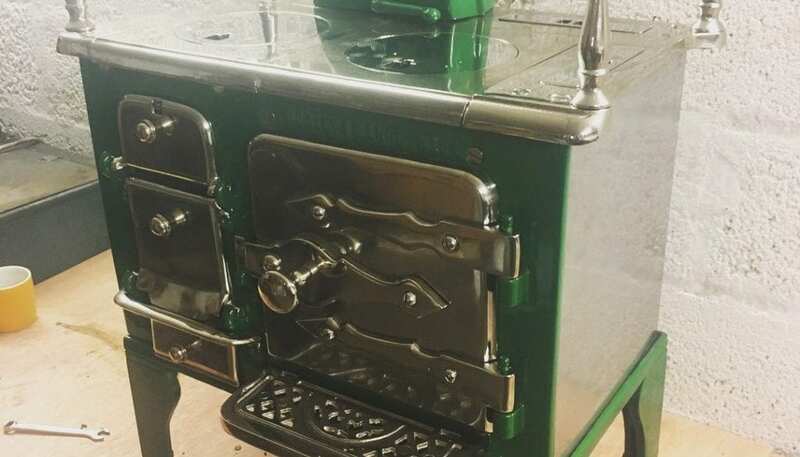 This has been manufactured as an exact replicas of the originals except all sheet metal has been replaced with Stainless Steel and the high finish electroplating is now triple plated copper, nickel, nickle. The green colour is Vitreous Enamel (fused galss) and is available in 5 different original colours. These little ranges can be made to order.